Under employment law, the term “worker” is defined as an employee of a business, who undertakes work or services for another party under a contract. The other party is neither a customer nor a client. Furthermore, the individuals qualifying as workers are entitled to certain rights under the employment law, including payments according to the National Minimum Wage, limitations on the number of work hours, and the provisions for a paid holiday. In general, there are three main types of employment statuses – employee, worker and self-employed, to allow people more flexibility at work. Therefore, an individual’s employment rights vary depending upon whether they are a worker or an employee (there are very few rights defined for the self-employed under the employment law). 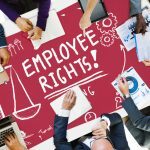 In general, employees have more rights than workers. Therefore, if a particular right applies to a worker, it would also apply to an employee. Having said this, workers are entitled to certain things under employment law including paid annual leave and the National Minimum Wage. Furthermore, there are other categories of workers defined under employment law, namely apprentices, volunteers, and student workers. Apprentices are employed in work-based training programmes, which yield a nationally recognised qualification upon completion. On the other hand, volunteers are responsible to carry out unpaid work for businesses like fundraising or charities. Students are also required to through paid or unpaid internship as part of their education to give them the much-needed corporate experience. Employees usually work according to the terms defined within a contract of employment, and are required to carry out the work personally. The term self-employed implies to an individual who runs his or her own business and takes responsibility for the business’ success. Self-employed individuals are more likely to be hired and contracted by clients to provide services. However, they do not get paid through PAYE and are not entitled to have the same set of employment rights and responsibilities as workers or employees. Agency workers are the workforce supplied by a temporary work agency depending upon a client’s requirements. Their work is usually for a temporary period. However, the rights of agency workers are protected by the Agency Workers Regulations, which avails the same basic employment conditions to agency workers that they would receive if directly employed by the same client to do the same job. In England and Wales, individuals can leave school at 16 years of age, however, they must continue their education until they reach 18 years. After this, they can become an apprentice and apply for apprenticeships. Apprenticeships are work-based training programmes that culminate into nationally recognised qualifications upon completion. Furthermore, apprentices are required to attend specialist training providers or local colleges on a day release basis, as part of training. Overall, apprenticeships can take between one to four years to complete, depending upon their level. Apprentices under the age of 19 or 19 years and over, are entitled to the apprentice national minimum wage in the first year of their apprenticeship. After an apprentice reaches 19 years and completes first year of apprenticeship, they are entitled to be paid the full National Minimum Wage rate. Interns are students or graduates who spend a stipulated amount of time working in an organisation, to gain experience and skills in that particular industry. Most students have internships as an integral part of higher education. Talking about employment rights as interns, these will depend on their employment status. If the interns are categorised as a worker, then they are entitled to the National Minimum Wage. However, if the internship is a part of any UK-based higher education course (a sandwich course) and lasts less than a year, the interns are not entitled to the National Minimum Wage. Furthermore, internships are not same as work experience, in which an individual person spends a specific period working for an employer and learn about the working environment. Volunteers carry out unpaid work for various organisations including charities, fundraising bodies or voluntary organisations. In general, volunteers have a role description and a volunteering agreement instead of a job description and a contract of employment. Furthermore, volunteers are not entitled to the National Minimum Wage, however, they are usually paid for their travel and lunch expenses. What does no deal mean for worker rights in the UK?